Home security has always been the top priority for homeowners. Knowing how to stop burglars from targeting your home can go a long way to safeguard your home and your property. The Federal Bureau of Investigation reported that more than 1.7 million burglaries occurred in one recent year, and 73% of those were residential crimes. With four burglaries happening in a minute, it seems like no one is safe. However, there are many simple, inexpensive and effective ways for you to prevent burglars from breaking into your home. While you actually can’t stop them altogether with certainty, you can reduce the likelihood or at least slow them down. You Might Be Interested: Read this to learn more home burglary and crime statistics before tapping on the ways to protect your home from burglary. So how to stop burglars from targeting your home or getting into your house? Here we have collected the top 13 easy, affordable and effective ways to deter burglars based on a survey of 86 inmates currently serving time for burglary. Also Learn: How to know if your house if being targeted by burglars in this guide. Security cameras on display around your home is one of the most useful ways to prevent home break-ins, and statistics show homes with security systems are up to 300% less likely to be broken into. When the burglars see one, they know you’re serious about protecting your home. Even if they have masks on, they still don’t want to run the risk of triggering the audio alarms of security cameras and being captured in the video footage. As you are more likely to be burglarized if you rent than own your home, installing a security camera for your rented home would be the best way to stop burglars from targeting your home. Note that the landlord’s consent is required if you opt for hard-wired security cameras or need to drill holes around. 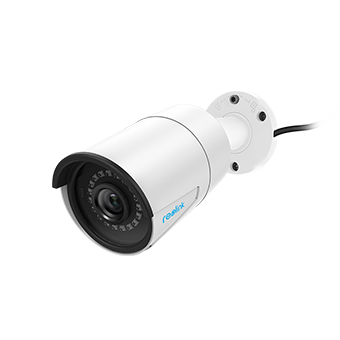 So it is best for you to choose the 100% wire-free security cameras that require no cablings or drilling holes and can be repositioned when you need to move. Editor’s Tip: Some insurance companies offer up to 20% home insurance discounts for security cameras. 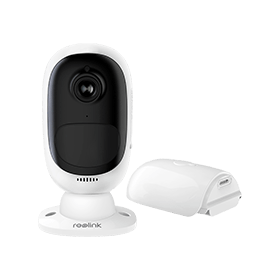 You can also choose the DIY security cameras with no subscription fees to save money when buying home security cameras. Watch the video of a lazy mailman throwing packages from a distance captured by Reolink security camera, RLC-410. Another good way to stop burglars and robbers getting in your house is to have security checks. Some police departments will send a crime prevention specialist out to your residence for a free inspection. And they will give you a summary of what you can do to stop burglars from targeting your home and beef up your home security. Call the crime prevention unit of your local police department to see if they offer the free home security checks. If they don’t, ask if there is an online checklist they recommend to the local community. Having a big guard dog is an old-school method to stop burglars from targeting your home, but it DOES work – 34% convicted burglars surveyed said that a dog inside would change their mind before breaking into a home. And even a small dog with a loud bark can be a deterrent against bandits and thieves to protect your home from burglary. Burglars know that small dogs barking can wake up the people inside, and most burglars don’t want their presence known. However, stopping a burglary isn’t a good enough reason to get a big guard dog. Dogs require care and companionship, and you shouldn’t get one if you’re not prepared to take care of it. If you do get a guard dog, put up a “Beware Of Dog” sign to make it clear you have one. 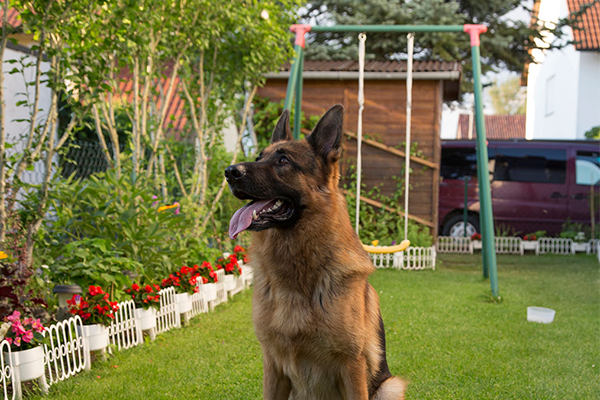 Discuss more: Does having a dog deter burglars? Read this post to check out the all-sided views. Installing motion-activated floodlights and keeping them on at night can also be an effective way to scare burglars away and keep thieves or bandits away from your house. 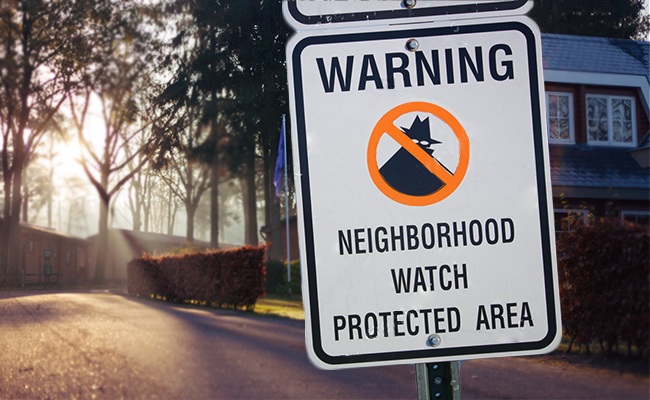 Any burglars who want to set foot on your property will soon find themselves in the spotlight. That isn’t any fun, and they’ll probably scurry off quickly. They know a home with motion-activated floodlights is probably not a good one to break into. Burglars and thieves will want to target properties that don’t seem to have a lot of defenses up, and they want to sneak in and out fast without any detection. If you can stop them in their tracks before they ever get near your front door, then you’re one step ahead of the game. Bushes and shrubs that grow out of control could be the best places for burglars and bandits to hide themselves when they case your house. 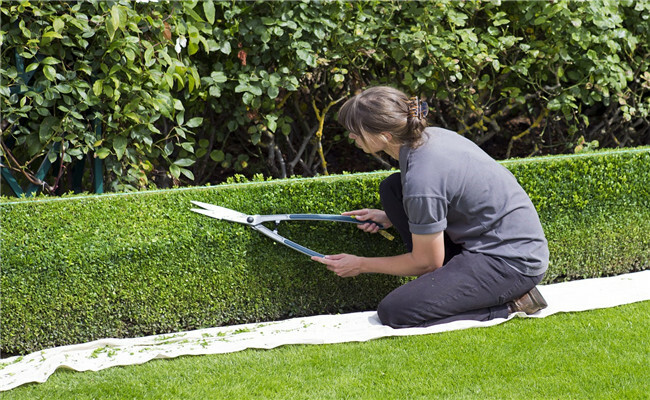 Make sure they are trimmed back sufficiently and that there aren’t any dark spots or hidden areas where burglars could hide. And you certainly don’t want a burglar to feel like he can hide somewhere until the moment is ideal to break in. Illuminate everything and putting up signs would deter burglars from entering at all. Based on our survey of the burglars, 56% of them come in through either the front door or back door. Another 22% come in through a first floor window. To stop the burglars from targeting your home, put in solid, thick doors that can’t be kicked in and install deadbolt locks. Besides, install thick windows that can’t be easily broken into (and lock them just in case). In this way, you will reduce the likelihood that your home will be broken into by nearly 80%. Bonus Tip: Read this expert guide to learn how to secure your home windows from break-ins. Putting indoor lights on timers can also help stop burglars from targeting your home when you’re away. Just make sure the timers are random so that burglars can’t detect a pattern. If you leave lights on or off all the time inside, it gives a signal to burglars that no one’s home. So it is wide of you to set the lights to turn on and off randomly. One trick burglars often use is to put flyers on every door of a neighborhood and see how long it takes homeowners to remove them. They usually do this during the summer, when families are typically on vacation. One of the best ways to deter burglars or thieves and stop them from targeting your home while you’re away on vacation is to have a friend or neighbor remove flyers and mail every day. Flyers and mail piling up can indicate that you’re away. A loud radio or TV on can be an even better deterrent than an alarm (learn more burglar deterrent gadgets here)to prevent burglars and bandits from breaking into your home. When the radio and TV is on, it indicates to burglars that someone is probably inside. 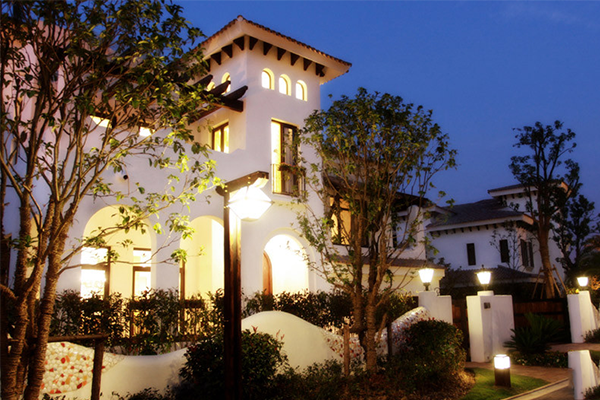 Most homeowners don’t like to waste electricity. Keeping your blinds – even at night is a can’t-miss tip you should follow to stop burglars from targeting your home. They like to walk through neighborhoods and look into windows for flat-screen TVs and gaming systems. Burglars also want to get a feel for who has the nicest stuff and where it is inside the home. That makes it easier for them to get in and out quickly with some valuables. 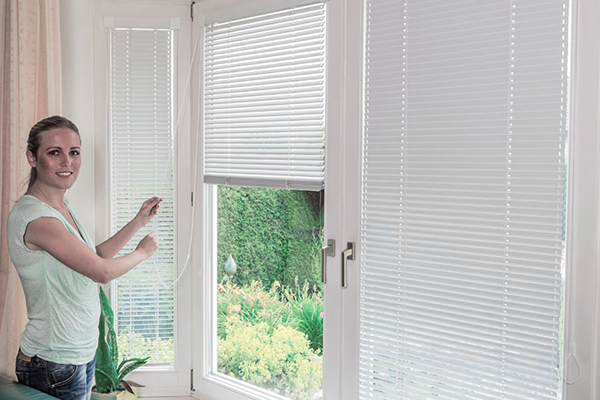 Keep your blinds closed – even at night – to prevent them from seeing what’s inside. Putting bikes, tools, and other valuables away when you’re done using them also does the trick to keep burglars away from your house. You absolutely don’t want to give a burglar any reason to come on your property. If they see those valuables, they may wonder what else is inside. The tight-knit communities tend to have a lower crime rate as neighbors help look out for each other and can easily spot a strange. Making friends with your neighbors can be one of the great ways to prevent burglars from breaking into your home because they offer extra eyes on your home property when you are away and can alert you to any suspicious activity. Keeping a low profile on social media is also a smart way to stop burglars from targeting your home. Never mention you’ve made large purchases or you’re away on vacation on social media, or even in person to people you think you can trust. If a burglar notices the purchase of expensive items or your absence of home for long periods, they will be more likely to target your home. Your home is your castle, and every castle has to be defended. These helpful tips should help stop burglars from breaking into your home. Now safeguard your home against cat burglars by applying the advice listed here. And if you have more effective ideas about how to stop burglars from targeting your home, please feel free to contact us in the comment below and we’d love to hear more from you! This entry was posted in Expert Safety Tips and tagged how to stop burglars.